Militants ambushing brands in Second Life from IF! Warning: Watch out for loose puns ahead. Proceed at own risk. After much venom in the social media land, soap opened to what is considered to be a rather toothless performance. 3) Ultimately we should be looking at very simple metrics. How much did it cost to market? How much did it earn? 4) What did the studio learn in the process that they can use for future marketing of movies with much more risk at stake? 5) Arguably most importantly, was the movie so great that Sam Jackson already signed up for soap II or so bad that it will be destined for cult status immortality? If this movie was truly embraced by the people, then it will ultimately live and die by the hands, mice and wallets of those same people. Long Tail's Chris Anderson gives this report card on media, affectionately titled "Media Meltdown"
TV: network TV had its lowest ratings week ever in July. Music: weekly album sales set a 10-year low in July. For the year, CD album sales are down 4.2%; although digital single downloads (still less than 10% of the business) are up 77% and are nearly making up the difference in revenue terms. Radio: the music radio listening audience is down 8.5% this year alone, continuing a multi-decade decline. DVDs: shipments are down 4% so far this year, more than 30 million units behind the same period last year. Newspapers: circulation, which peaked in 1987, is declining faster than ever and is down another 2.6% so far this year. YouTube announced in July that viewers are now watching more than 100 million videos per day on its site. MySpace has 75 million users, 15 million daily unique logins, is growing by a massive 240,000 new users per day, and is now a solid second to Yahoo in terms of pageviews! Bryan Person suggested I give a little more information on tomorrow's SkypeCast. Good suggestion...and the only reason I didn't sooner is because I'm rather clueless myself :) He points me and so I'm pointing you to the following link from FIR's SkypeCast for more details. 1. At 12noon EST on Sunday (tomorrow), August 20th, you'll either click on THIS LINK which will take you to the ATS Skypecast page directly, or alternatively go to www.skypecast.com and just type "Across the Sound" in the search bar. 3. You'll then click on a "Join this Skypecast" link and once you do, you're connected. 4. The only other nuance is that your microphone might be muted and you'll have to request the mike if you want to contribute. It really depends on how many people are participating in terms of whether it makes sense to periodically mute/unmute people. 5. Other than that, come armed with ideas, themes, memes, rants, winners, losers etc. and have fun! Check it out...it's a slice of Grand Theft Auto life, or is it? 16: “Voice of the Customer” log to track sentiment, instance, and/or voice. 20. Use wikis like PmWiki to discuss and debate pretty much everything from 1-19 and most importantly attempt to turn all the talk/conversation into walk/action. 21. (ending on 20 would have been so contrived) Repeat steps 1-20 to look outside of your own circle. Evolve the perspective from yourself, through your direct competitive set to your indirect competitive set and ultimately to your aspirational/non-endemic/non-competitive set. This is where you want to follow the leaders so to speak - Apples, Nikes, Googles or whichever company you admire. 22. Create a PROACTIVE capability/budget in order to QUICKLY execute against everything you're monitoring - specifically opportunities like Fedex Furniture, Tiger Chipping in on the 16th. 23. Conversely, have a REACTIVE process in place to comprehensively and compellingly respond, especially when you're on the bumpy receiving end of the stick. It's an interesting move, namely allowing bloggers and the like the opportunity to help spread the....'er.....advertising.....hmmmm, but neverthless I just did it and there's something there, no doubt. PS Wonder what would happen if I took out the "bl" (as in blogger landing) from referring URL: http://www.stoppong.com/bl - come on Amex, share some results with us! 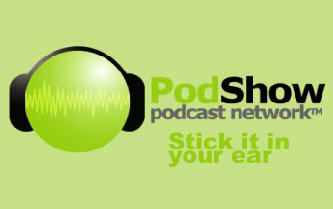 Part 1 of a 2 part interview with PodShow's Adam Curry and Ron Bloom is up. Yo, yo...where my wasps at? Via Silva, this is a long-form content piece for Smirnoff Raw Tea. What impresses me is the extent of product mentions (which I feel many advertisers seem to either forget...or play down due to some kind of apologetic subservience) and more importantly, 525,000 views and counting. Over half a million views is not a viral O' the day blip...this is serious viewage my friends. It certainly rivals many cable networks AND if you chose to weight this based on a) permission based, b) credibility from friend recommendations and c) it's length (2m15), we're talking that voodoo cliche, "engagement"
The only nagging question is the ROI one. Now I'm not talking about a stupid binary "99 bottles of raw tea on the wall" sales metric...and certainly not one that would ever be bound to one particular component of an assumed larger integrated plan, but I do feel that we need to start challenging ourselves to demonstrate and validate the business impact of "viral"/communal/CGC et al. Now if we did that, well then that would change everything, wouldn't it? Via GapingVoid and Karl Long, a thread with potential on rules for social media and viral. 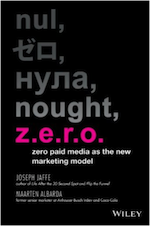 Interactive Agency business models are subverted by social media. Failure is not just acceptable, it should be encouraged. In Social Media Everyone is a Critic. Viral Stewardship - Virals Are Unpredictable So Pay Attention.